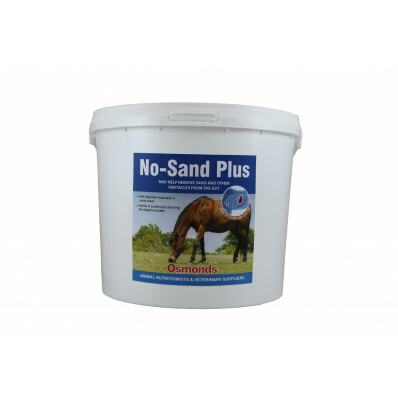 OSMONDS NO SAND PLUS helps remove sand and other obstacles from the gut of equines that live in areas of sandy soil. Feed 150gm OSMONDS NO SAND PLUS per 500kg liveweight until gut and colon are free of sand. Feed at a maintenance rate of 50g per day. For equines grazing on short cropped grass, or in known sandy areas, feed 50gm of OSMONDS NO SAND PLUS.